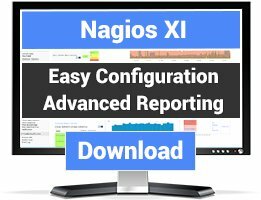 This is an Official Plug-In developed and supported by Dell EMC for Nagios XI that provides capabilities to monitor 12th and later generations of Dell PowerEdge Servers through an Agent-Free, Out-of-Band method using Integrated Dell Remote Access Controller (iDRAC) with Lifecycle Controller as well as monitor Hyper-Converged Infrastructure (VxRail, Nutanix XC-Series), Modular Infrastructure (M1000e, VRTX, FX2/FX2s), Storage (Compellent SC-Series, EqualLogic PS-Series, PowerVault MD-Series) and Networking (MIOA/MXL for M1000e, FN-IOM/FN-IOA for FX2/FX2s, C, S, N and Z-Series switches) devices from the Nagios XI console. Dell EMC OpenManage Plug-in for Nagios XI provides capabilities for monitoring 12th and later generations of Dell EMC PowerEdge Servers through an Agent-Free method (i.e. no OMSA agent required to be running on PowerEdge servers) using Integrated Dell Remote Access Controller (iDRAC) with Lifecycle Controller (LC), Hyper-Converged Infrastructure (VxRail, Nutanix XC-Series), Modular Infrastructure (M1000e, VRTX, FX2/FX2s), Storage (Compellent SC-Series, EqualLogic PS-Series, PowerVault MD-Series), and Networking (MIOA/MXL, FN-IOM/FN-IOA, C, S, N and Z-Series switches) devices directly from within the Nagios XI console. 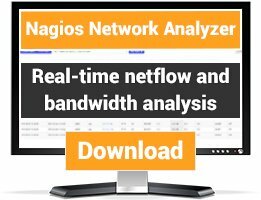 With this plug-in, customers have comprehensive hardware-level visibility of Dell PowerEdge Servers, HCI Compute Nodes, Modular Infrastructure, Stoage and Networking including overall and component-level health monitoring for quicker fault detection and resolution. 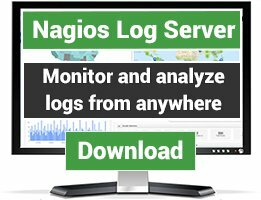 Whilst Dell OpenManage Plug-In for Nagios XI is officially supported on RedHat Enterprise Linux (RHEL) OS platform, it can be deployed on any flavor of Linux OS distribution that runs Nagios XI. However, support for CentOS, Ubuntu, Debian and other such non-officially supported OS is provided via the community forums. Using the Dell OpenManage Plug-in for Nagios XI, you can easily monitor the following basic and detailed services for the overall and component level inventory and health status of supported dell platforms and devices. Please refer to Dell TechCenter Wiki Page for OpenManage Plug-In for Nagios XI for product documentation, technical briefs, white papers and videos.